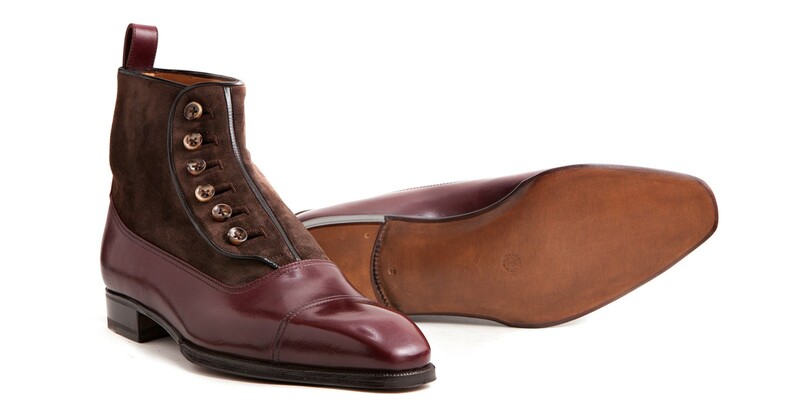 You didn't think it was time to get boots off the brain did you? 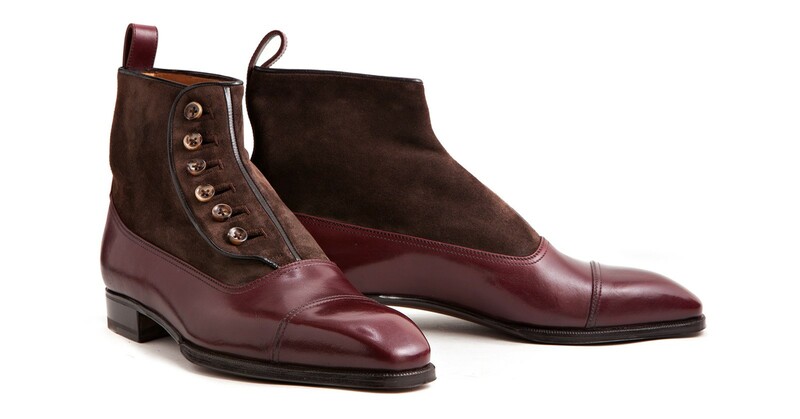 A well-done boot can be a beautiful thing year-round. I mean, isn't that evident? This Button Boot from Enzo Bonafé is simply beautiful. 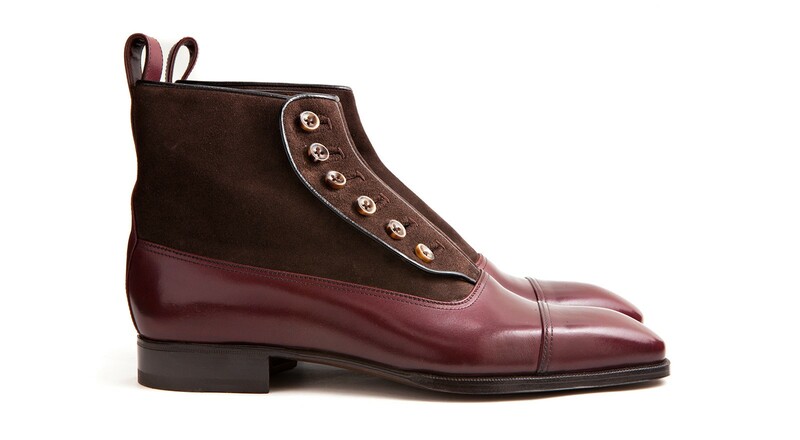 The boot features the brand's Blake construction with its elegant cap-toe, vamp and quarter in a handsome polished burgundy leather. 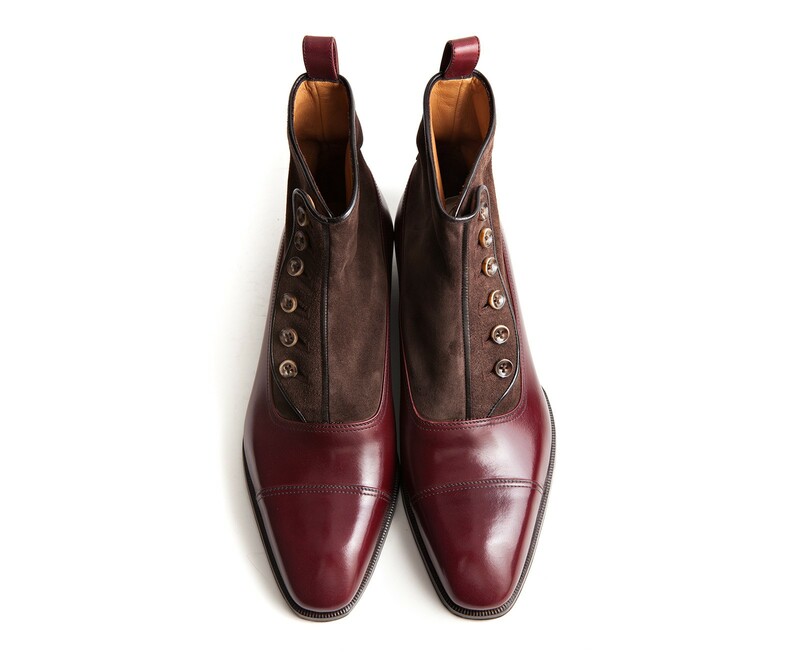 Then the shaft is executed in a crisp brown sued with spat closures and a hell tab in the same burgundy leather. The effect is quite dandy, parts retro but the clean execution is completely relatable to a modern man who might wear it with crunchy or cuffed denim other than his suitings. Available now at Leffot.com.